Medical receptionist takes care of greeting and scheduling visitors, calling patients to remind them of their appointment, answering and routing phone calls, billing the customers, and keeping the reception organized. 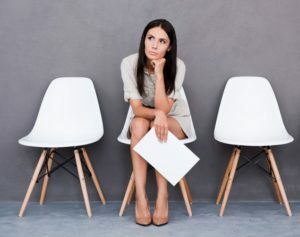 In this article we will look at some questions they may ask you in an interview for this position, and explain how you can succeed, and land a job. Let’s start! Why do you think you can be a good medical receptionist? Do you have any experience with similar jobs? This is a routine job. How do you plan to motivate yourself? What are you goals in five years time? Try to create a good relationship with your interviewer. In many cases, the doctor you’d work with will lead an interview with you. Show them that it is a pleasure to talk to you, to work with you, and that they can trust you with the job. Show some respect and recognition. Doctors like to be respected–exception just proves the rule. If you can, compliment them for something (for their practice, office, their reputation, anything else that catches your eye). Smile. Many job seekers forget their smiles at home when they go to interview for a job. You should avoid making the same mistake (check our article on body language in an interview for more information). Smile, keep an eye contact with them, and try to speak openly about your life and professional career. Show motivation. Some job applicants consider job of a receptionist their last option, applying because they can not get any other job. Even if you find yourself in the same boat, you should do your best to not make such an impression in an interview. Speak with enthusiasm about your new job, the future, the particular clinic or medical practice where you apply. Show them that you want the job, and are actually looking forward to start working as a medical receptionist. Tell them that you enjoy doing what receptionists typically do. Praise them, pointing out a good reputation of their medical practice. Tell them that you like to work with the successful–and that you consider them successful people. Mention that you have everything it takes to be a great receptionist. Try to convince them that you really want the job, and not only need one. Highlight your communication skills. Tell them that people enjoy talking to you, that you are a good listener. You can talk about your ability to organize the office, and to handle multitasking. Did you have a receptionist job before? Tell them that you were good in your past job, that the guests enjoyed the interaction they had with you. Show them that your experience testifies to your qualities. Note: If you want to see multiple brilliant answers to 25 most common interview questions for receptionists (including the difficult behavioral questions), have a look at an eBook from Amanda Seizling, a reputable interview coach from Miami. You can find her book here: Receptionist Interview Guide. Try to speak positive about your past experience. Tell them why you left your last job, and ensure them that the reason was not your lack of skill or inability to handle the working duties. If it is your fist job application, or if you are coming from a different field altogether, ensure them that you know what is expected from a good receptionist, and feel ready to handle the job from day one. Communication skills, organization skills, understanding for the functioning of reception and medical practice. Your strengths should be relevant to the job. On the other hand, you should mention weaknesses that are not central for the job, or not important at all. Receptionist doesn’t have to possess leadership skills. They do not have to excel in managing other people, or handling advanced computer programs. And if you go with a weakness that is somehow important for the job (even slightly important), be sure to tell them how you try to improve on your weakness. The key is to ensure them that you do not mind routine work. You can even say that you do not consider the job routine, since every patient is different, and even the same people come to the physician in a different frame of mind each time they visit. You can also say that you had routine jobs in the past, and did not struggle with motivation in them. Most jobs are routine, and each of us struggles with motivation at least sometimes. But if you know why you go to work, and if you see a meaningful purpose in your job, it should be easy for you to avoid a serious crisis of motivation. There isn’t any room for promotion for a medical receptionist. Tell your interviewers that you will be happy to have this job in five years time. Alternatively you can say that you prefer to not look far to the future. After all, nobody knows what tomorrow will bring. I may not be alive in five years time, and the same is true for you, and for the person who interviews you for the job. While it is a good idea to tell them that they can count with you in a long run, you do not have to stick to this promise. Nobody will blame you for anything, if you leave their practice after a year, or even after the first month. Changing jobs is a reality of employment market, and we all have to count with the phenomenon. Most likely you will experience some conflicts in the job. Some patients will try to argue with you, that’s for sure. While describing a conflict you had in the past (with a colleague, with a guest, with your boss), try to point out that you tried your best to avoid the conflict, and once it happened, you tired to settle it quickly. It is also good to emphasize that you understand that conflict situation belong to every workplace, and try not to take them personally. Conflicts should not affect you negatively in your job. A good job interview is a dialogue, and you should always ask them some questions. For example, you can ask about the patients they have, abut the computer software they use for scheduling appointments, about their business hours, about the traffic connection to the place, the next step of the hiring process, etc. 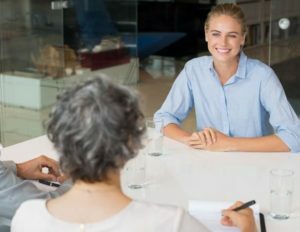 Asking questions shows that you care, want to know more, and are interested in the job after everything that has been said and done in the interview. How would you greet a visitor? Imagine that two patients come on the same appointment – and it is your mistake – you scheduled it that way. How will you react to the situation? Do you struggle to come up with brilliant answers to the questions from this article? 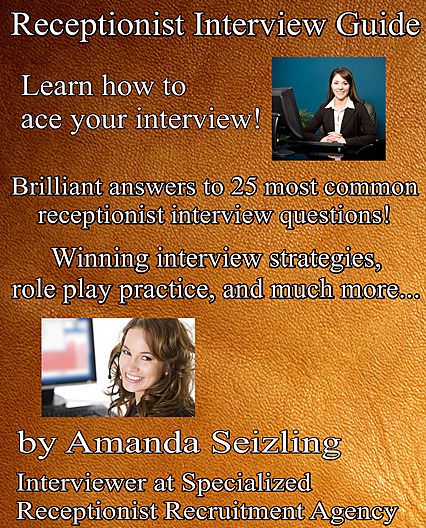 You should have a look at an eBook from Amanda Seizling, called Receptionist Interview Guide. Great answers to twenty five most common interview questions for receptionist, two examples of a role play (the most difficult part of an interview), a personality test, and much more–you will find it all in Receptionist Interview Guide. Check the book here: eBook from Amanda. Interview attire special tips – Some interview attire tips for the brave, and for people who like to experiment. Every details counts. Learn how to dress for your interview.